Your smile is important for many reasons; your self-esteem, self-confidence, ability to eat, and your overall health all depend on your smile. 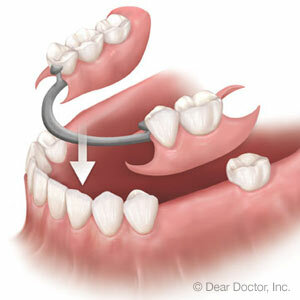 If you are missing teeth, it’s easy to become discouraged, but there is help available. You need to discover the benefits of removable dentures! Dr. Gina Piccioni and Dr. John Hartmann at River Forest Dental Studio in River Forest, Illinois want to share the facts about how a removable denture can help you. An immediate denture, which is placed immediately after your teeth are removed; a more permanent, conventional denture will be made for you after your tissue has healed completely. A removable denture can restore your self-confidence and sense of well-being. You deserve to feel great about yourself, and a removable denture can help. To get started on your new smile, call Drs. Gina Piccioni and John Hartmann at River Forest Dental Studio in River Forest, Illinois today!